Situated in the Sonoran desert, between five rangers of mountains, including the beautiful Santa Catalina Mountains is the University of Arizona campus. The history of the football program began in 1899 and the team did not pick up the nickname, the “Wildcats” until 1914. 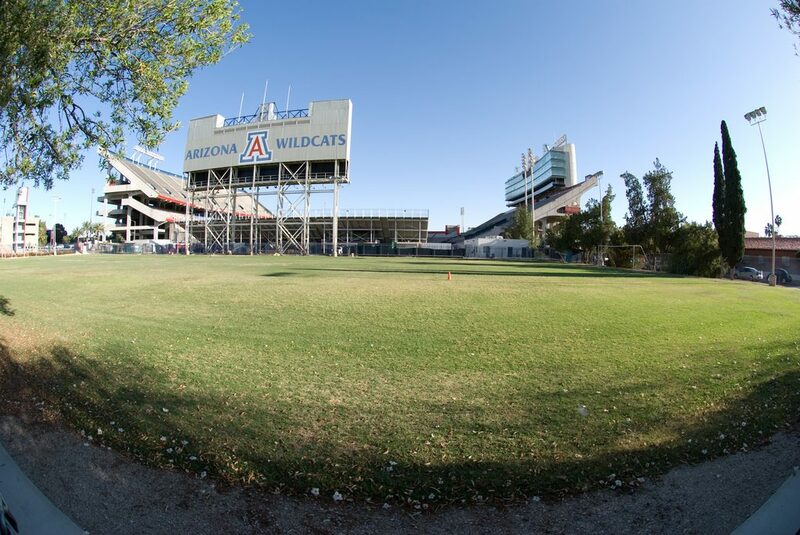 In the late 1920s the 7,000 seat Arizona Stadium was constructed and opened on October 12, 1929 when the Wildcats battled California Tech. Football under lights came in 1931 and seven years later the stadium was expanded by 3,000 seats on the east side. By 1947, seats were added in the endzones and three years later, the south endzone was enclosed giving the stadium a horseshoe look and increasing the capacity to 22,671. In 1965, the west side of the stadium was expanded and new press box was built. By the start of the 1976 season, a two tier addition on the east side added an additional 17,000 seats to Arizona Stadium. A new scoreboard was added in 1982 and permanent seats were installed on the north side of the stadium by 1988. In 1989, a $6.3 million expansion and renovation of the press box was completed adding 23 luxury suites and 319 clubs seats along with a new Presidents Box. Before the start of the 2011 season one of the largest HD video/scoreboards, 47′ tall x 112′ wide was installed at Arizona Stadium, replacing the existing one installed in 1993. The Lowell-Stevens Football Facility, located on the north side of the stadium, was completed before the 2013 season. This five story building houses football operations internally and includes 5,000 upgraded seats, luxury boxes and club seats. 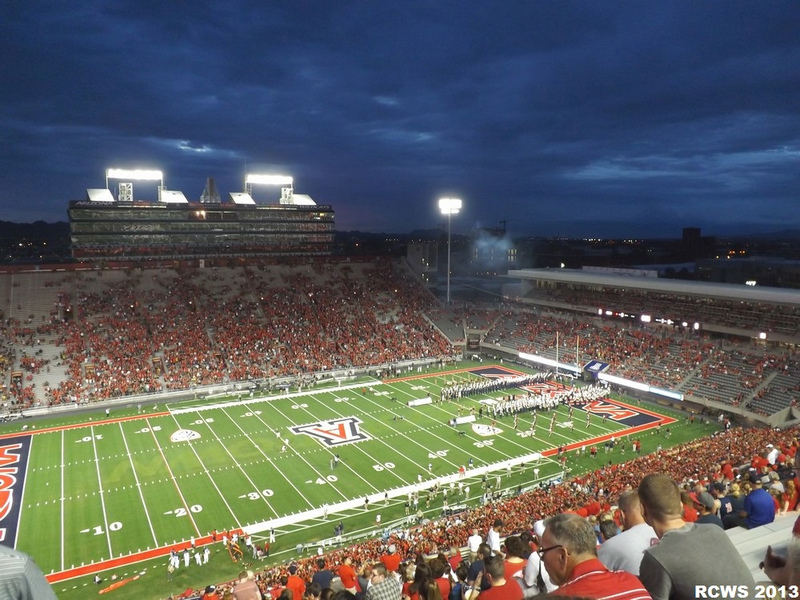 Today, Arizona Stadium has a seating capacity of 56,000.